The Cristal Baschet is an acoustic musical instrument belonging to the friction idiophone class. The vibration of its individual elements produces tones by means of friction. Metal rods are embedded in a heavy plate to form the elements. Each metal rod is accompanied by an attached glass rod. The metal rod's length, weight and position at the equilibrium point determine the sound's pitch. The glass rod is gently stroked with a wet finger to produce sound. The vibration of the rod with greater amplitude and weaker pressure is transmitted into the metal fitting. This causes a transformation in the vibrations and the shape of the wave produced. The vibrations propagating through the metal have a high pressure and a weak amplitude. This amplification in pressure is the result of fiberglass cones that are fixed in a wood frame alongside a tall, cut-out metal part in the shape of a flame. "Whiskers," placed on the side of the instrument, amplify high-pitched sounds. The Cristal Baschet is also known as the Crystal Organ and the Crystal Baschet. The range of a concert instrument is 5 octaves. The Cristal is related to the glass harmonica. The Cristal Baschet was invented in 1952 by the French instrument makers and artists Bernard and Francois Baschet. They specialized in creating sculptures that could be played to produce music. They invented the inflatable guitar, an aluminium piano and an "educational instrumentarium" for the purpose of giving young people exposure to musical concepts. The Cristal Baschet was developed around the same time as musique concrète (Avant-Garde musical style introduced by Pierre Schaeffer and Pierre Henry), Electro-Acoustic music and early Moog synthesizers. 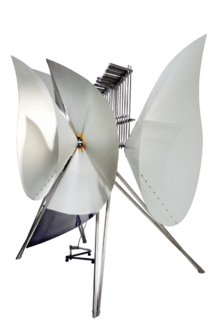 The Cristal Baschet produces music similar in style to these other musical forms, but through purely acoustic means; no electrical amplification is involved. The Cristal Baschet has been used for ballet music, songs, film and theater music, jazz, rock, electronic music, improvisation, tales and contemporary music. In the United Kingdom, the most familiar musical piece to be played on the Cristal Baschet is "Manège", composed by Jacques Lasry. It has been used for over twenty years as the opening theme to the Granada Television children's program Picture Box. Site officiel de la société Structures Sonores, qui développe les recherches des frères Baschet. ↑ "Thomas Bloch uses cristal baschet". Retrieved 11 September 2014. ↑ Columbia Records. "Daft Punk - Random Access Memories". Random Access Memories Official Site.